What better way to make acquaintances with my future clients than to be kindly introduced by a mutual friend whom thinks we will hit it off wonderfully! That was exactly the case when I had the pleasure of meeting these two lovebirds whom will tie the knot next summer in Chicago. Upon meeting Sarah + Dimitri, I immediately knew our mutual pal was spot on. I love connecting with my clients for coffee or a toast before we actually get started creating imagery as it allows me an opportunity to really get to know them, to understand their story and know the details. From their kismet meeting to their super sweet + very comedic marathon proposal where Dimitri continued to run far beyond his intended first few miles to find his gal cheering from the side lines, this couple's story is the stuff romcoms are made of! 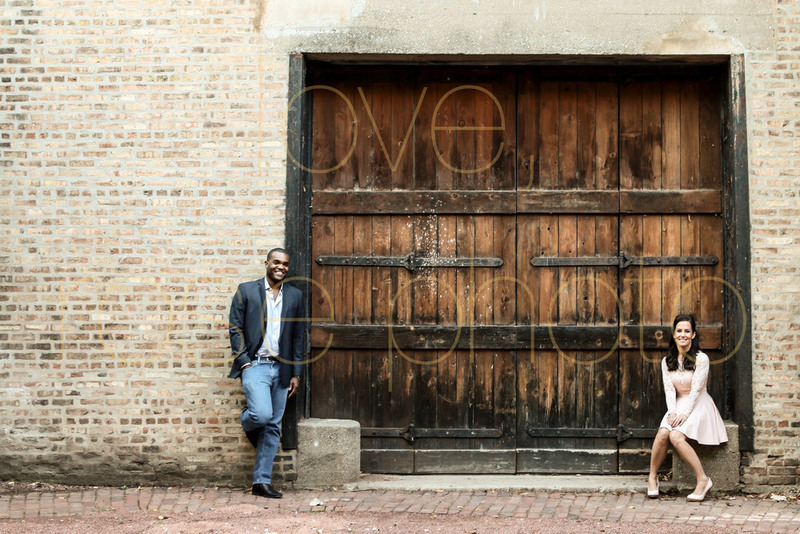 Sarah + Dimitri's set of imagery for their South Loop engagement session was planned specifically around their unique story, where they love to toast and enjoy sweet home Chicago. We took our time with a few different locations and captured the golden hour light from the 18th street bridge, looking north to the skyline. The chemistry between these two is certainly palpable and the sight lines on our shoot weren't half bad either!! Looking forward to Summer 2016 with these sweethearts, no sprinting or extra laps necessary ! !